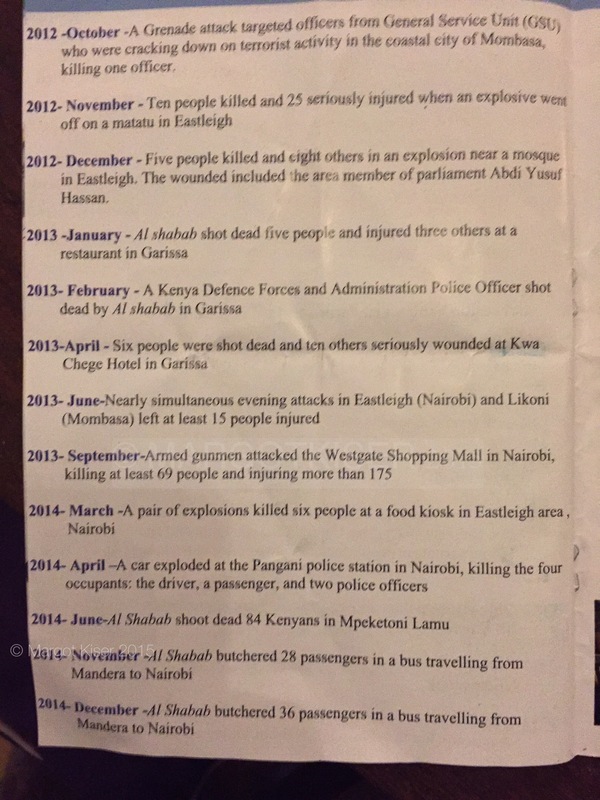 An acquaintance in Lamu gave me a pamphlet she said had been handed to passengers on a bus from Mombasa to Lamu on September 21, 2015. 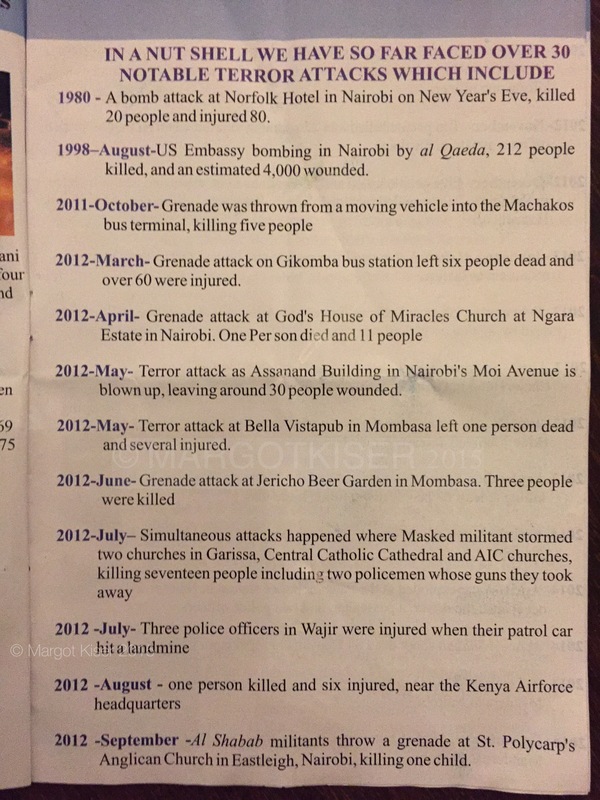 Perhaps not coincidentally the date marked the second anniversary of the deadly Westgate Mall attack. 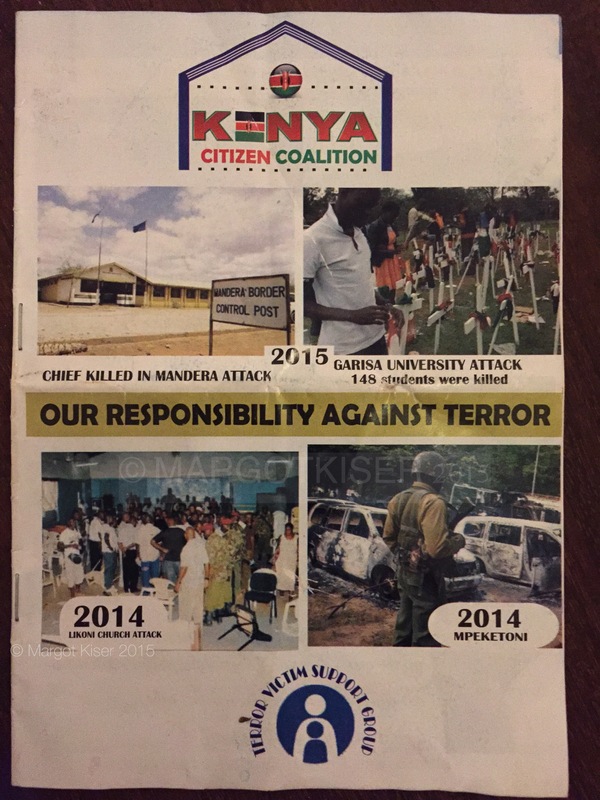 The group behind the leaflet, Kenya Citizen Coalition (KCC), appears to be pro-government, very much against the ICC’s indictment of Kenya’s President Uhuru Kenyatta for the 2007/8 post-election violence. 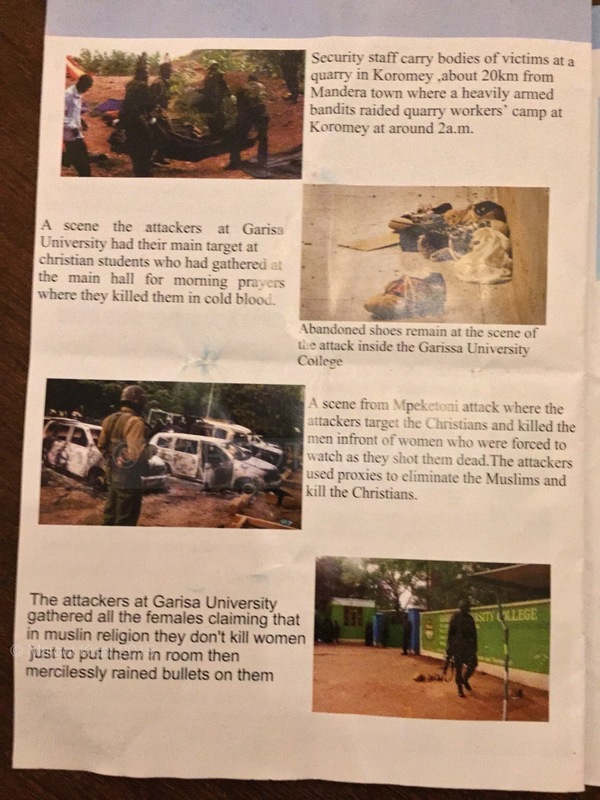 After the Westgate mall attack the President announced to the media that he could not attend his trial at The Hague since his nation was under siege by terrorists. 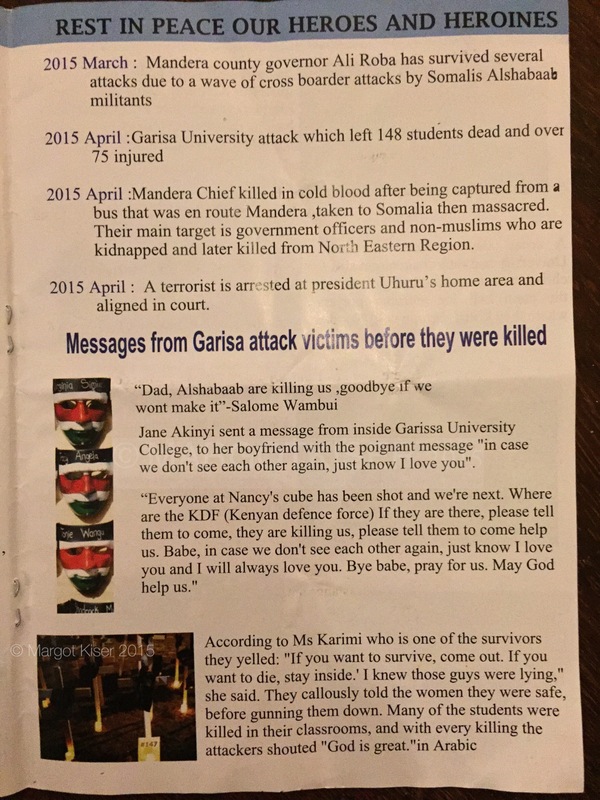 I read somewhere recently that a conspiracy is less about the 1% sitting at a golf club bar cooking up elaborate ways of achieving fortune and fame at the expense of others than about carrying forth a popular narrative (national security comes to mind) that helps justify why he/she/they/anyone should achieve fortune, power and fame at the expense of others. Around the first week in October, I spent a couple of days at Diani Beach in Kwale county to meet with an acquaintance. Sprawling resorts sat empty and abandoned due to security threats in the region over past four years. To be fair it was the rainy off-season. From Diani I took the Likoni ferry to Mombasa, where I’d been asked to participate in a literary seminar for Kwani Trust in Old Town. Not 10 meters from where the ferry docked on the island stood a sign reading, “Wanted: Dead or Alive”. 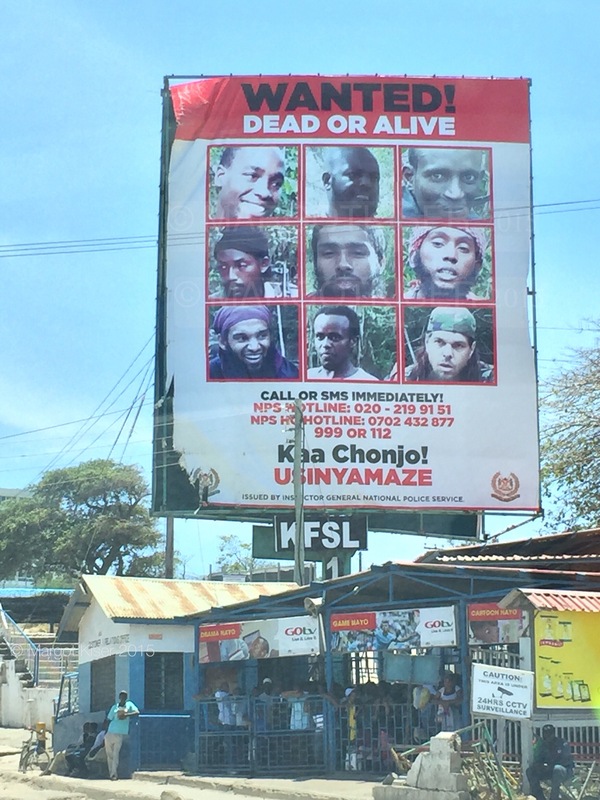 The Wild West-like billboard featured the photos of nine men I recognized from various newspapers as Al-Shabaab suspects. 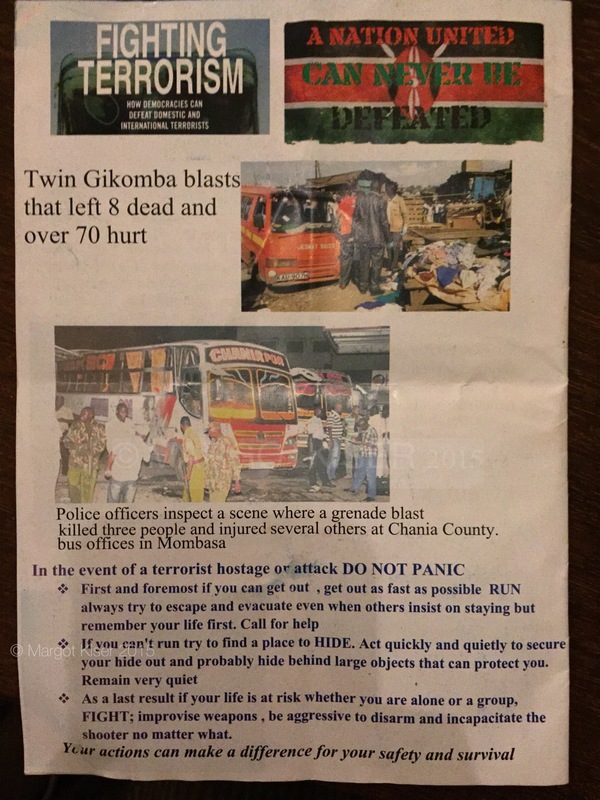 However the sign – courtesy of the Inspector General of Police – didn’t advertise that fact. 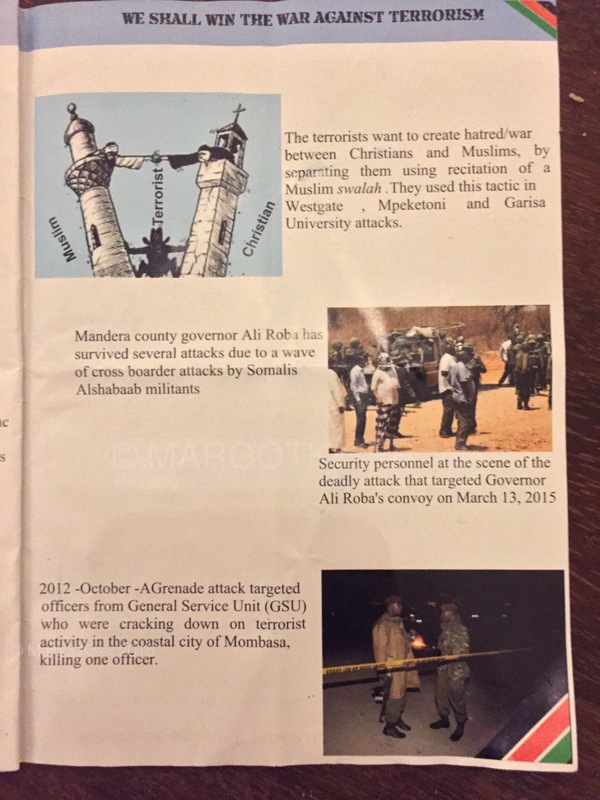 Apparently, at one point they dotted much of Kenya’s coast; two in Mombasa, two in Malindi (one at the entrance of the town’s main mosque, associated with radical Jihad), and another at the Mokowe jetty in Lamu county. A lot of creepiness out there these days. 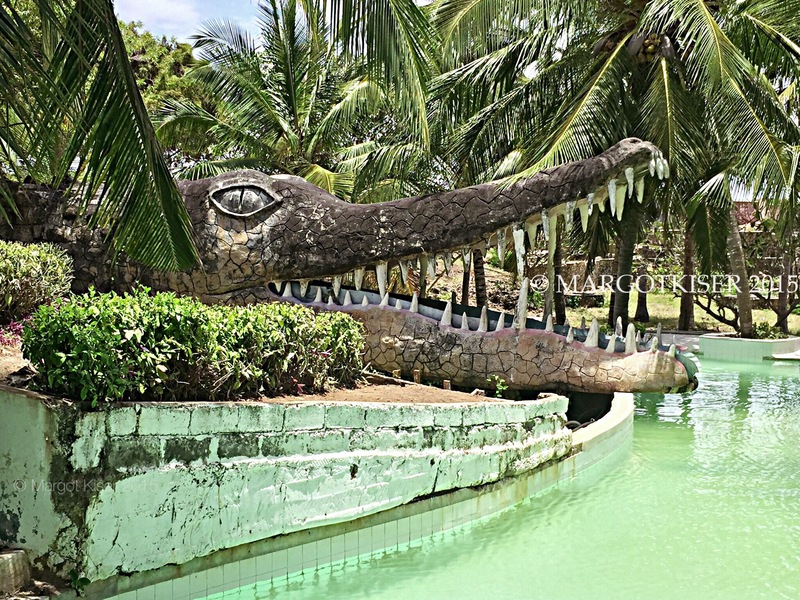 A children’s pool slide at an Israeli-owned resort on Kenya’s coast, abandoned since 2002 after Al-Qaeda suicide bombers drove a truck packed with explosives into the hotel’s reception area, killing dozens.